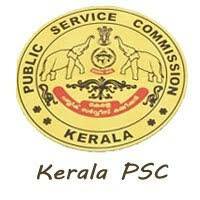 Kerala PSC Jobs Recruitment Notification 2019.Kerala Public Service Commission (Kerala PSC) inviting applications for the positions of Manager, Receptionist and Others.Interested and Eligible candidates can apply for the positions. Pharmacist Grade II – Pass in SSLC or equivalent qualification; Diploma/Certificate in Ayurveda pharmacist course recognised by the Government of Kerala. Veterinary Surgeon GR II– Degree in Veterinary Science; Registration with the Kerala State Veterinary Council as envisaged in the Indian Veterinary Act, 1984. Lecturer in Tool – First Class Bachelors Degree in appropriate branch of Engineering/Technology from a recognised university after undergoing a regular course of study. Assistant– B.Com. from a recognized university with 60% or above marks in aggregate. Receptionist– SSLC or its equivalent qualification; Diploma in Social work from a recognized institution/University. Medical Record Librarian GR-II – +2 or Equivalent qualification recognized by Government; Certificate in Medical Record Technician Course(MRT Course) conducted by Government of India with not less than six months duration. Social Worker– Post Graduate Degree (2 years Course) in Social Work (MSW) from a UGC recognised University. Interested candidates can apply to the post through the online mode on or before 6 March 2019. Candidates can take a printout of the finally submitted online application for future reference.